Vanderbilt University School of Medicine's curriculum, known as Curriculum 2.0, is centered on the core sciences and designed to launch our students into a lifelong learning process that will extend well beyond their time on campus. It also emphasizes the importance of cultural understanding, excellent communication skills, and a focus on student well-being. 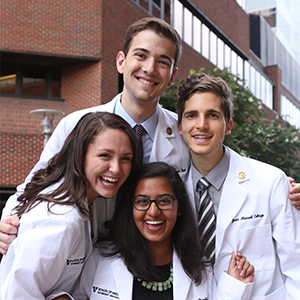 Vanderbilt graduates are positioned to assume leadership roles in shaping the future of medicine. The Medical Scientist Training Program (MSTP) is based on solid clinical and research training and is designed to foster the development of independent scientific careers. Students are provided with an integrated curriculum comprising a strong core education in medicine and intensive training in scientific inquiry. Successful completion of the program leads to both the MD and PhD degrees. The Medical Innovators Development Program (MIDP) is a four-year PhD to MD training program tailored to engineers and applied scientists with existing PhD degrees. The purpose is to fill an unmet need for applied physician-scientists who can solve clinical problems by translating discoveries in imaging, informatics and systems design, and/or medical devices into valuable innovation that will improve the lives of patients. The Oral and Maxillofacial Surgery MD Program allows qualified individuals to complete an MD in three years and thereafter progress directly into the VUMC OMS residency. Our OMS-MD curriculum allows trainees to meet graduation requirements for the doctor of medicine at the end of three years. During the last three of six years in the OMS-MD program, the trainees continue full time in the VUMC OMS residency program. The Vanderbilt Program in Interprofessional Learning (VPIL) is a longitudinal continuity experience where medical, nursing, pharmacy, and social work students work and learn together as a team in a clinical environment. 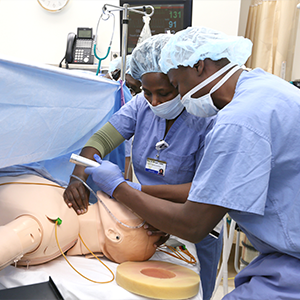 Our program allows students to develop an understanding of and respect for their health care colleagues with different training and different skill sets. The MS in Applied Clinical Informatics (MSACI) program provides a 36-credit hour curriculum in 21 months, with a coursework-intensive first year followed by a second year devoted to a capstone project. The program provides innovative clinical informatics education for working professionals in the health care field, with graduates assuming national leadership roles in the application and innovation of clinical informatics. The MS in Clinical Investigation (MSCI) program trains investigators in the techniques and processes utilized in clinical and translational research. This program provides direct, mentored experience in clinical investigation and, through didactic work, provides trainees with a strong foundation in study design, biostatistics, biomedical ethics, clinical pharmacology, human genetics, and genomics. The Master of Laboratory Investigation (MLI) program is a three- to five-year program created for individuals working in a research laboratory environment. It is designed to enhance the academic, scientific, and technical expertise of research personnel; the program is intended to be completed while students continue to work in an academic research environment. The Master of Public Health (MPH) is a two-year program with the primary objective of training public health scientists and professionals dedicated to improving the public health. The MPH includes didactic coursework, a practicum, and mentored research. The Doctor of Audiology (AuD) program is a four-year post-baccalaureate degree that trains high quality professionals educated in the profession of audiology. The program pursues excellence by recruiting the very best students, exposing these students to nationally recognized faculty, and offering them unique and varied clinical experiences and special research opportunities. The Master of Education of the Deaf (MDE) degree is a one- to two-year program emphasizing the training needed to develop spoken language and auditory skills in deaf and hard-of-hearing children. The Department of Hearing and Speech Sciences is home to a unique, interdisciplinary approach to teacher training by combining training in audiology, speech-language pathology, and deaf education. The Master of Science degree program in Speech-Language Pathology (MS-SLP) provides academic and clinical education leading to the Certificate of Clinical Competence in speech-language pathology (CCC-SLP) from the American Speech-Language-Hearing Association. The program spans two academic years (20 to 24 months). The length of the program depends on the student's academic background. VUSM offers the CAMPEP-Accredited Master of Science degree in Medical Physics (MSMP), with a specialty in Radiological Medical Physics. Medical Physics is an applied branch of physics devoted to the application of physics concepts and methods to the diagnosis and treatment of human disease. The MS in Medical Physics offers both therapy and diagnostic physics tracks and is administered in collaboration with the VUMC Department of Radiation Oncology and Department of Radiology and Radiological Sciences. VUSM offers the CAMPEP-Accredited Doctorate of Medical Physics (DMP). Medical Physics is an applied branch of physics devoted to the application of physics concepts and methods to the diagnosis and treatment of human disease. 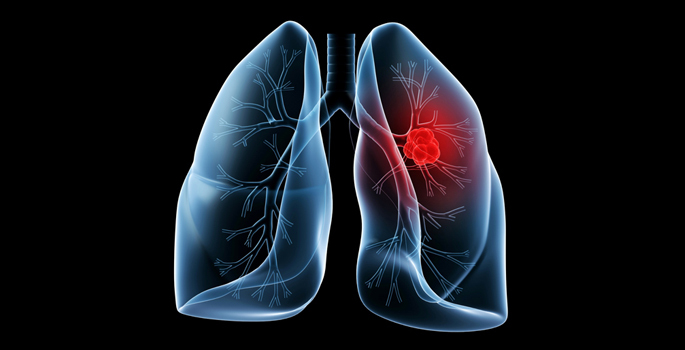 The DMP offers only the diagnostic physics track and is administered in collaboration with the VUMC Department of Radiation Oncology and Department of Radiology and Radiological Sciences. The Master of Genetic Counseling (MGC) program is a two-year degree program with the goal of graduating students who are empowered to succeed in the expanding field of genetics, genomics, and personalized medicine. Genetic counselors work in a variety of settings, including patient care, research, education, and advocacy. The program consists of coursework, clinical rotations, and research in the field of genetic counseling. Graduates of the program will complete 60 credit hours during the 21-month curriculum and will receive a Master of Genetic Counseling degree. Students must apply separately to both the Vanderbilt University School of Medicine and the Vanderbilt Law School and be accepted by both programs to pursue the dual M.D./J.D. degree. Students in the dual M.D./J.D. program will have the opportunity to complete both degrees in six years. Students must apply separately to both the Vanderbilt University School of Medicine and Vanderbilt’s Department of Biomedical Informatics and must be accepted by both programs to pursue the dual M.D./M.S. in biomedical informatics degree. Students in the dual M.D./M.S. in biomedical informatics program will have the opportunity to complete both degrees in six years. Students in the dual M.D./M.Div. 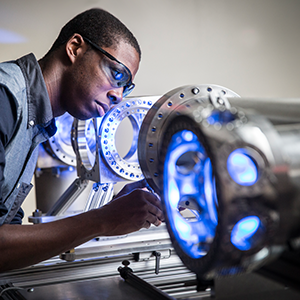 program will have the opportunity to complete both degrees in six years. The Master of Divinity is a professional degree and prepares students for the practice of ministry. This program has a required field education component as part of the Master of Divinity degree requirements. In this program, students will carry 15 credit hours per semester while in the Divinity School. Students must apply separately to the Vanderbilt University School of Medicine and the Vanderbilt Divinity School and be accepted by both to pursue the M.D./M.T.S. (M.D./Master of Theological Studies) degree. Education is an integral part of medicine. The word “doctor” comes from the Greek word meaning “teacher.” Whether a student chooses a career in research or clinical practice, there always will be a need to teach students, patients, and colleagues. Students who choose the M.D./M.Ed. dual degree program may be interested in patient education or in a career in an academic center working in medical education. They also may be interested in leadership positions at the national level that interface with health policy and education. Education will be a large part of prevention in future medical practice. 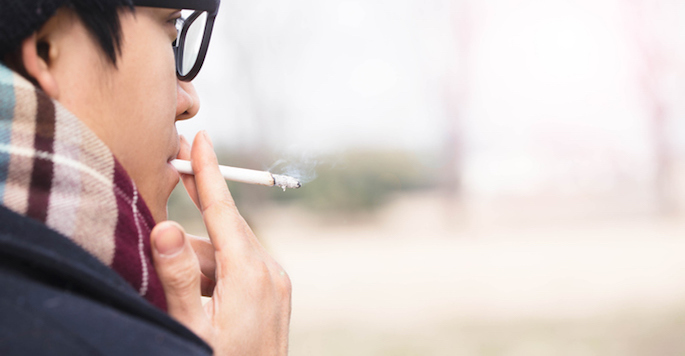 The five-year MD/MPH dual degree program is offered for students who want to better understand and address health issues on a population level. M.D./M.P.H. students are able to contextualize health and understand the determinants of health. In addition, students gain the research skills needed to engage in academic research. Professionals with M.D./M.P.H. degrees may have interests in the following areas: prevention, health literacy, education and advocacy, policy analysis and development, evidence-based practice, academic research, quality improvement, monitoring and evaluation, health services research, health disparities, leadership and management, and clinical research. Students must apply separately to both the Vanderbilt University School of Medicine and Vanderbilt’s Owen Graduate School of Management and be accepted by both programs to pursue the dual M.D./MBA degree. Students in the dual M.D./MBA program will have the opportunity to complete both degrees in five years. The first three years are spent in medical school. Students spend their fourth year at the Owen School and then spend the fall semester of year five in medical school and the spring semester of year five at the Owen School. The MHS degree provides students with additional knowledge and research experience to prepare them for academic careers focused on the political, social, economic, and cultural contexts of the practice of medicine, as well as on biomedical ethics, patient-provider relationships, and health policy. 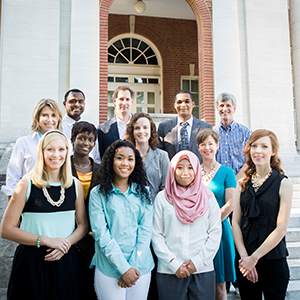 The Vanderbilt Master of Science in Clinical Investigation program trains investigators in the techniques and processes utilized in patient-oriented research. Through a formal mentored research program combined with didactic work, the program provides trainees with a strong foundation in study design, biostatistics, biomedical ethics, genomics, and drug and device development. Students must apply and be accepted separately to the MD and MSCI programs in the School of Medicine and will have the opportunity to complete both degrees in five years. Students interested in the M.P.H. program and the M.Ed. in International Education Policy and Management program have, through this dual degree program, the opportunity to complete both degrees in three years of study (seven academic terms). Students must apply and be accepted separately to both the M.P.H. program in the School of Medicine and the M.Ed. program in Peabody College of Education and Human Development. Students interested in the M.P.H. program and M.A. in Latin American Studies program have, through this dual degree program, the opportunity to complete both degrees in three years of study (seven academic terms). Students must apply and be accepted separately to both the M.P.H. program in the School of Medicine and the M.A. in Latin American Studies program in the Graduate School. This certificate is designed to enable students to graduate with a high level of competence in analyzing and resolving ethical issues that they will face in practice and equip them to provide leadership to their colleagues, to the profession, and to the public in biomedical ethics. The certificate promotes training opportunities in global health. Students in any Vanderbilt graduate or professional degree program who fulfill all requirements are granted a Global Health Certificate upon receipt of their degrees. The Neurodevelopmental Disabilities (NDD) Certificate Program provides an opportunity for Vanderbilt MD students to receive substantial education and training in the field of autism spectrum disorder/neurodevelopmental disabilities ASD/NDD. As participants in the Vanderbilt Consortium LEND (VCL), students in this certificate program address the critical shortage of health professionals who are trained to provide culturally sensitive, patient- and family-centered, interprofessional care to children and youth with special health care needs, especially those with ASD/NDD. Quantitative and Chemical Biology is a PhD track, multidisciplinary program introducing elements of biology to students who wish to pursue a doctoral degree at the interface of the chemical, physical, and biological sciences. The curriculum prepares students for research careers in any area of biomedical research, and many students choose to work in interdisciplinary fields such as chemical biology, structural biology, imaging sciences, molecular and cellular biophysics, or systems biology. 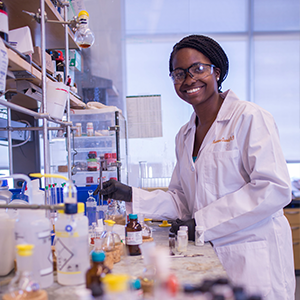 The Initiative for Maximizing Student Diversity (IMSD) at Vanderbilt University exists to increase the number of PhDs awarded to graduate students in biomedical research who are underrepresented in science. The program is funded by the National Institutes of Health (NIH) and has been in existence at Vanderbilt since 2000. Our approach is multi-faceted and emphasizes extensive and careful mentoring at all stages. Biochemistry is an underpinning of all modern biomedical science. The mission of the Biochemistry Department at Vanderbilt University is teaching, service, and research. 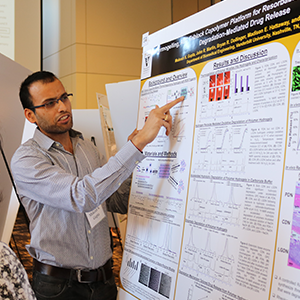 Ph.D. students in biochemistry are trained to take up roles as investigators and teachers in biomedical research, and our department provides this background for all IGP Ph.D. students at Vanderbilt regardless of which direction their future training may take. The graduate program in the Department of Biological Sciences is designed to prepare students for careers in research and teaching. Critical thinking skills and technical expertise are achieved primarily through dissertation research beginning with a firm foundation of course work and seminars. Biomedical Informatics is the interdisciplinary science of acquiring, structuring, analyzing, and providing access to biomedical data, information, and knowledge. As an academic discipline, biomedical informatics is grounded in the principles of computer science, information science, cognitive science, social science, and engineering, as well as the clinical and basic biological sciences. Biostatistics graduate program emphasizes modern statistical thought and features the foundations of statistical inference, a topic of critical importance. The program aims to strike a balance between theoretical rigor, methodological proficiency, and functional aptitude. There is a strong emphasis on reproducible, validated research and how to achieve this from a statistical perspective. The Cancer Biology Graduate Program is designed to train students for a career in basic and applied cancer research, as well as in related careers associated with the application of information through biotechnology and the dissemination of information to the next generation of scientists and to the lay public. Modern cancer research is based on a broad range of technical skills, including Molecular Biology, Cell Biology, Genetics, Biochemistry, and Bioinformatics, which the students will learn through coursework and laboratory training. The graduate program in Chemical and Physical Biology (CPB) is designed for students who wish to pursue a doctoral degree at the interface of the chemical, physical, and biological sciences. The Ph.D. degree in CPB is available to all students who enter the trans-institutional QCB or IGP graduate admissions program or any of the departmentally based graduate programs. The coursework and research components of the program prepare students for research careers in which they are able to bring state-of-the-art tools of the modern chemical and physical sciences to bear on cutting edge biological problems. Epidemiology at Vanderbilt emphasizes training in advanced quantitative methods with strong roots in logic and causal inference. We engage students immediately as active collaborators in multidisciplinary research teams, focus on analysis of observational data, and encourage scholarly productivity throughout training. The Ph.D. is based in The Institute for Medicine and Public Health with more than 127 researchers who excel in large-scale collaborative research with basic and applied scientists worldwide focused on protecting and improving human health. The Ph.D. program in Hearing and Speech Sciences is administered through the Vanderbilt University Graduate School. The program emphasizes preparation for research and teaching careers in audiology, speech-language pathology, and hearing or speech science. Doctoral education and training is integrated with the federally-sponsored research programs of faculty members. The Ph.D. program in Human Genetics offered by the Vanderbilt Genetics Institute provides students with a solid foundation for a career in human genetics research and teaching. The MHI program is designed to equip each student with an in-depth understanding of their particular discipline (e.g. bacterial pathogenesis or virus replication), while imparting a knowledge of host biology sufficient for understanding pathogen-host interactions. As a research training program, MHI emphasizes training in the fundamental principles that underlie hypothesis-driven research. The program also offers numerous opportunities to attend seminars by world-class researchers and to discuss recent scientific developments in various journal clubs. The graduate program in Molecular Pathology and Immunology in the Department of Pathology, Microbiology, and Immunology provides training in the basic principles underlying human disease, inflammation, and immunology. Students undertake research experiences to apply this knowledge to investigate the fundamental mechanisms of tissue damage and repair, and the role of the immune system in diseases such as cancer, autoimmunity, and response to infection. The many areas of active investigation in the training program provide students with a diverse choice of subjects for dissertation research and fields of training for future careers as independent, biomedical research scientists. Molecular Physiology and Biophysics offers a broad interdisciplinary range of courses and opportunities designed to train students to develop and execute creative research that utilizes cutting edge technology to answer biologically important questions. Vanderbilt's Neuroscience Graduate Program prepares each student to make significant contributions in neuroscience and fosters development from trainee to independent research scientist and educator. This is achieved by combining sound training in the fundamentals of neural science with more specialized training that focuses on the integration of this knowledge base into a study of nervous system function and disease. There are several inter-related goals in the training of pharmacological sciences at Vanderbilt University. At the scientific level, we seek to provide a didactic curriculum assuring each student has an understanding of the core knowledge in pharmacology and related physiology, including the molecular, cellular, and integrated understanding of drug action, receptor theory, pathways of drug metabolism, pharmacokinetics, and rational drug design. 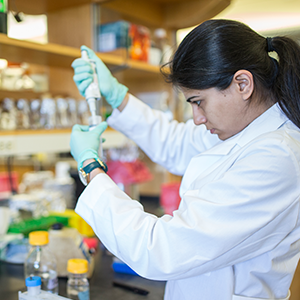 Vanderbilt hosts a large cadre of postdoctoral research fellows and trainees who are integral to the research and scholarly mission of our university and medical center. 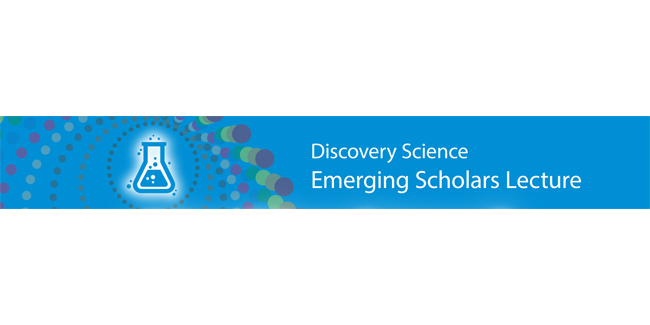 We provide exceptional postdoctoral opportunities with rich mentoring experiences and resources. Faculty, students, and staff work closely together to examine challenging questions across a wide range of disciplines. As a result, postdoctoral scholars at Vanderbilt have the opportunity to further enhance their skills and prepare for future careers while working with leading scholars. Vanderbilt University Medical Center has built a world-wide reputation as an innovative leader in medical education, biomedical research, and patient care. VUMC residency programs provide opportunities to work with diverse patient populations, using state-of-the art technology, and supervised by outstanding faculty who model a scholarly approach to humane, patient-centered care. The Office of Graduate Medical Education provides comprehensive support for the ongoing education and well-being of the trainees, faculty, and staff in our many residency and fellowship programs. 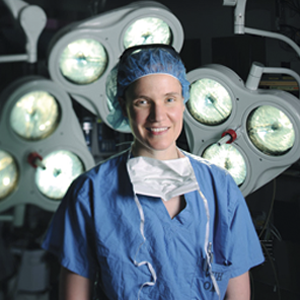 Vanderbilt University Medical Center is committed to the continuous professional development of VUMC physicians, community physicians, and practitioners in the other health professions. With efforts grounded in established learning theory, our Office of Continuous Professional Development supports the offerings of VUMC academic departments and encourages innovative educational approaches aimed at improving outcomes for patients and populations. The Center for Programs in Allied Health of Vanderbilt University Medical Center prepares students for excellence in their chosen career paths. With transformative learning programs and outstanding patient care experiences, our programs instill compassion and a commitment to providing the highest quality patient care. The programs offered include: Diagnostic Medical Sonography, Dietetic Internship, Medical Laboratory Science, Neurodiagnostic Technology, Nuclear Medicine Technology, and Perfusion.